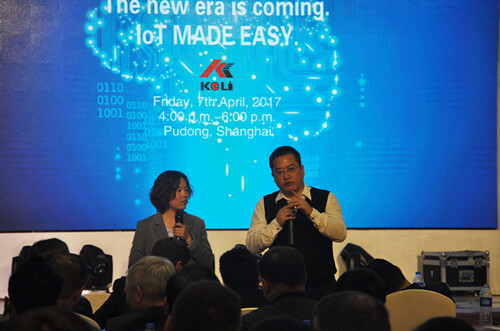 On 7th, April 2017, KELI 2017 IoT International New Product Launch was held in The Ramada Plaza Pudong South Hotel and achieve complete success. The theme of this conference is “The new era is coming. IoT MADE EASY”. KELI shows master produced IoT products to the world, introduces the internationalization thought of intelligent manufacturing in Chinaand age of Big Data, and leads the new era of Weighing Industry 4.0. This conference is highly valued by people from all walks of life. Mr. Liu Xiaohua, President of CWIA(China Weighing Instrument Association), Mr. Ke Jiandong, President of KELI Sensing, and customer representative from nearly 50 countries (Russia, Germany, Italy, Spain, the Netherlands, Ukraine, Turkey, Iran, Colombia, Mexico, Brazil, Chile, South Korea, Vietnam, Malaysia, Indonesia, and so on), attend the conference. We witness together, the internationalization pace of KELI IoT, raise the wave of concern to KELI IoT from the international market . 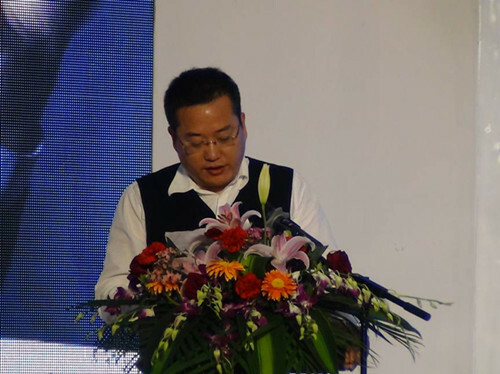 The conference is chaired by Mr. Lin Defa, the Vice President of KELI Sensing. After the opening, Mr. Liu Xiaohua, President of CWIA (China Weighing Instrument Association) firstly delivers the opening speech, and fully affirms and highly appraises the development ofChina's Weighing Industry, the technology innovation and the promotion of KELI Sensing toChina's Weighing Industry. 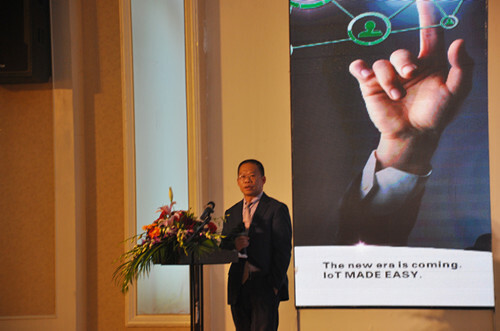 Mr. Ke Jiandong, President of KELI Sensing, delivers the welcome speech, welcomes all the guests and customers in the conference, and, makes description and prospect for the internationalization of KELI IoT. The content of the conference includes the introduction of the IoT(Internet of Things), the introduction of IoT indicator, the presentation of the IoT system and Q & A session. 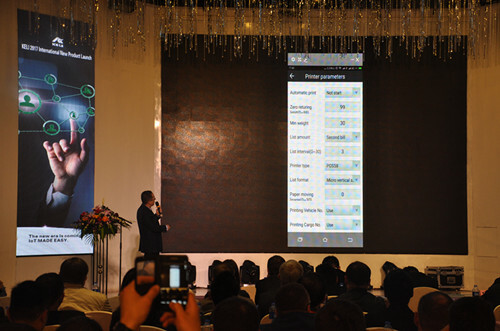 All the speech and explanation during the conference are in English, including the president speech and the product presentation, which is highly praised by the foreign customers. For the IoT load cell, the engineer shows KELI latest column load cell NDS and shear beam load cell GXB. The engineer interprets high precision, high stability and convenient using of load cell performance from product design idea, internal structure, testing data and installation way aspects. Especially fast transmission and easy installation without junction box for CANbus protocol of NDS, make a great impression on the customer. For IoT indicator, the engineer mainly recommend D39-WE touch screen indicator, and introduce the display interface, the basic operation, interface design, digital scale calibration function and the corresponding IoT functions, such as networking, remote viewing, data transmission and so on. At the same time, in order to meet the different market requirements, engineer also introduces D2008W/WP, D12-W differentiated IoT indicators. For IoT system, engineer makes live demonstration of KELI IoT application and operation through KELI IoT APP English version. Engineer firstly connect D39-WE with scale, and use KELI IoT APP to connect IoT system; then through operation of weighing, open the housing, open the seal, indicator protection, show IoT composition, real-time data transmission, fault alarm, big data analysis, man-machine interface friendly operation and other IoT functions. 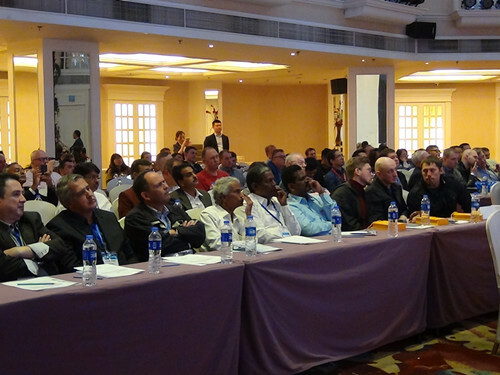 In the final Q&A session, the customer representatives from different countries ask many questions. About mostly concerned questions Mr. Ke Jiandong answers one by one and provides variable operation models, solutions and cases, like the data transmission and security, server structures, business models, value-added services and profitability. After the conference, Mr. Liu Xiaohua, Mr. Ke Jiandong make deeper communication and sharing with the foreign customers, on the development of Chinese and foreign weighing industry, IoT construction, Industry 4.0, standards and planning, laboratory construction, laws and regulations and the operation experience. 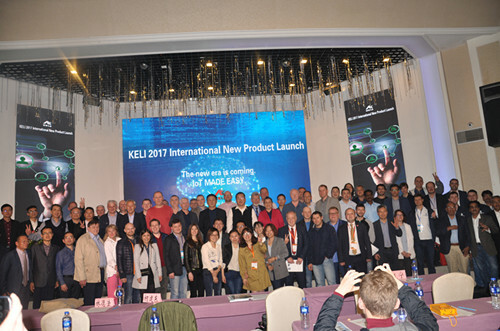 “KELI 2017 IoT International New Product Launch “and follow-on communication meeting, enhance the reputation of KELI IoT in the world, accelerate KELI International IoT promotion and cooperation; meanwhile, provide the communication and sharing platform for Chinese and foreign Weighing counterparts, and provide international cooperative platform for industry weighing development, IoT and Industry 4.0.